Microsoft released Windows 10 April 2018 update a couple weeks back. The April 2018 has a lot of new features like Windows Defender Application Guard, Timeline, custom audio options, improved user interface, ability to add security questions to local accounts, HEIF image support, etc. As per the standard procedure, Microsoft is rolling out the update in waves. If you still haven't received the update, you can download April 2018 update ISO file, create a USB bootable drive, and upgrade your system. 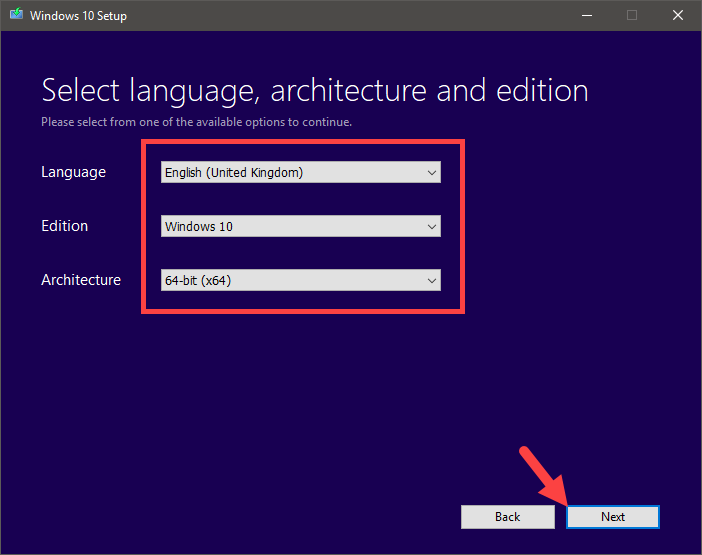 There are two ways to download Windows 10 April 2018 update ISO. I will show both ways. Follow the one you are comfortable with. 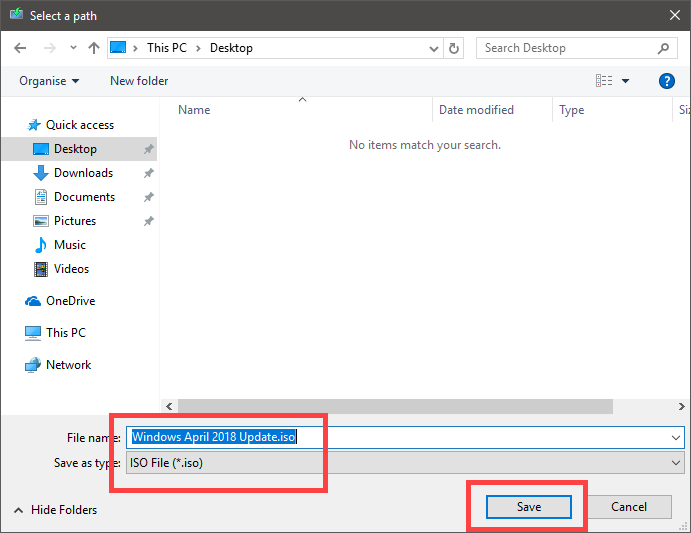 The first and easiest way to download April 2018 update ISO is to use the Media Creation Tool. 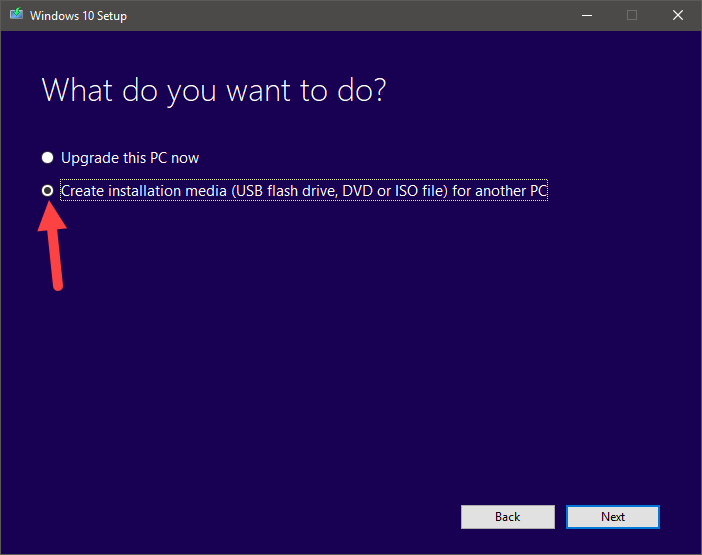 Using the Media Creation Tool, you can either upgrade your PC in place, create a bootable Windows 10 USB drive or download the Windows 10 ISO. 1. First, head over to the official Microsoft website and click on the "Download Tool Now" button to download Media Creation Tool. 2. After downloading, open Media Creation Tool, read the policy and accept it. 3. 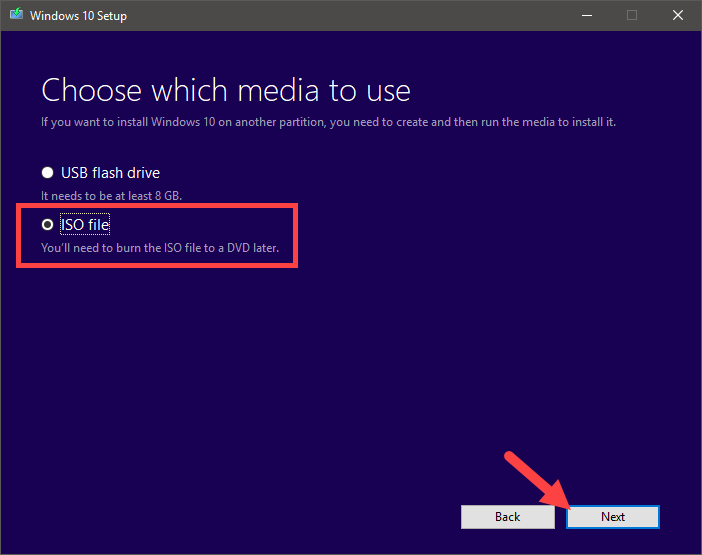 Here, select the second option "Create installation media (USB flash drive, DVD or ISO file) for another PC" and click "Next" to continue. 4. Select your language, edition, architecture, and click on the button "Next." 5. Since we want to download Windows 10 ISO, select "ISO file" option and click "Next." 6. You will be asked to choose a destination. So, choose a destination, type a name, and click "Save" button. 7. As soon as you click on the button, the Media Creation Tool starts downloading the ISO file. Once downloaded, Media Creation Tool will save the ISO to the destination you choose earlier. When needed, you can use the ISO file to create a bootable USB drive using free tools like Rufus. Media Creation Tool is pretty helpful to download the ISO file. But if it doesn't work for you then you can download the Windows 10 ISO directly from the Microsoft website. However, the way to download is not as straightforward. But that doesn't stop us frmo downloading Windows 10 ISO directly. 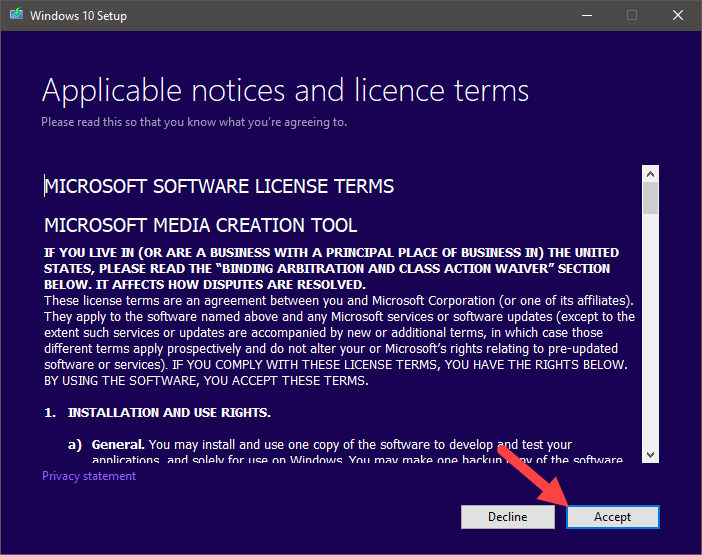 When trying to download Windows 10 ISO directly from the Microsoft website, the web page automatically detects that you are using Windows and redirects you to download the Media Creation Tool. To avoid that, we have to spoof the browser user-agent and make Microsoft website think we are on a different operating system. Let me show you how to do it. Since a majority of Windows 10 users are using Google Chrome, I'm showing this method in the Chrome browser. The same method is applicable to Firefox, but the user interface and options will be different. If you are using the Edge browser then use Chrome or Firefox to download Windows 10 April Update 2018 ISO. 1. Open Google Chrome and install the User-Agent Switcher extension. Note: Firefox users can use this extension to spoof the user-agent. 2. 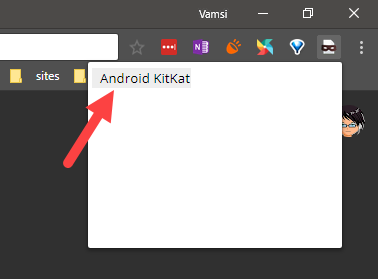 After installing the extension, click on it and select "Android > Android KitKat" to spoof the browser user agent. Firefox users select "Android Phone or Android Tablet" under the Mobile section. 3. Now, head over to this official web page, scroll down and select the Windows edition you want to download and click "Confirm." 4. Select language and click "Confirm." 5. The webpage will create download links for both 32-bit and 64-bit ISO files. Click on the appropriate link to download Windows 10 April 2018 update ISO file. The download links will be valid for 24-hours. 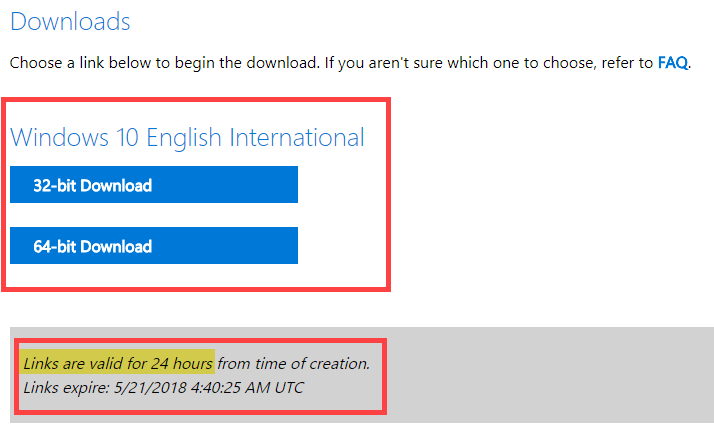 So, make sure that you download Windows 10 ISO file within that 24-hour time frame. To reset the user agent, click the extension and select "Chrome > Default." 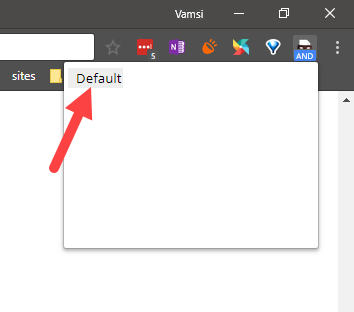 Firefox users can just select the "Default" option. If need be, you can uninstall or delete the extension from the Extensions or Add-ons page. That is it and it is that simple to download Windows 10 ISO file. Comment below if you face any problems while downloading Windows 10 April 2018 update ISO file.